The Keyy Pen – Our state of the art distillate vaporizer. We have successfully developed a proprietary technique to distil cannabis oil that removes ALL impurities and co-developed a pen vaporizer design that quickly vaporizes the thickest and most purified oil. 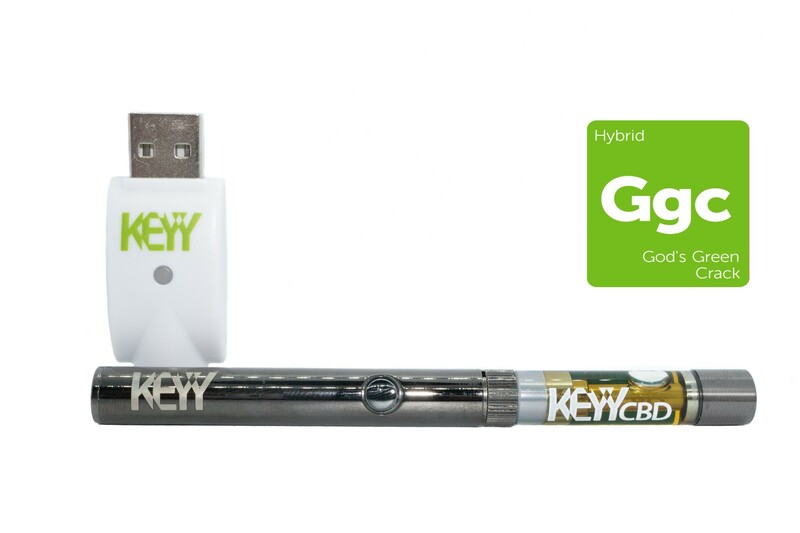 The Keyy Pen is the result of years spent exploring multiple forms of cannabis oil and vaporizer tanks and Dab Pens. In our distillates, we use pure THC and the indica or sativa effect is given by the terpenes added to it due to the entourage effect. Choose from 8 classic and satisfying flavors!